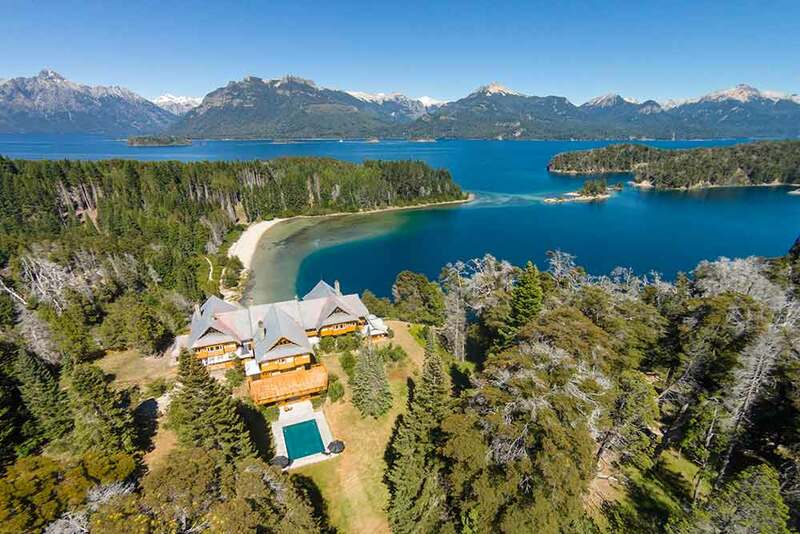 Isla Victoria Lodge, Patagonia | Ultimate Travel Co.
A traditionally-styled Argentine lodge poised, like an eagle, on a cliff giving unparalleled views over the Patagonian countryside, the snow-capped Andes and mesmerising Lake Nahuel Huapi. 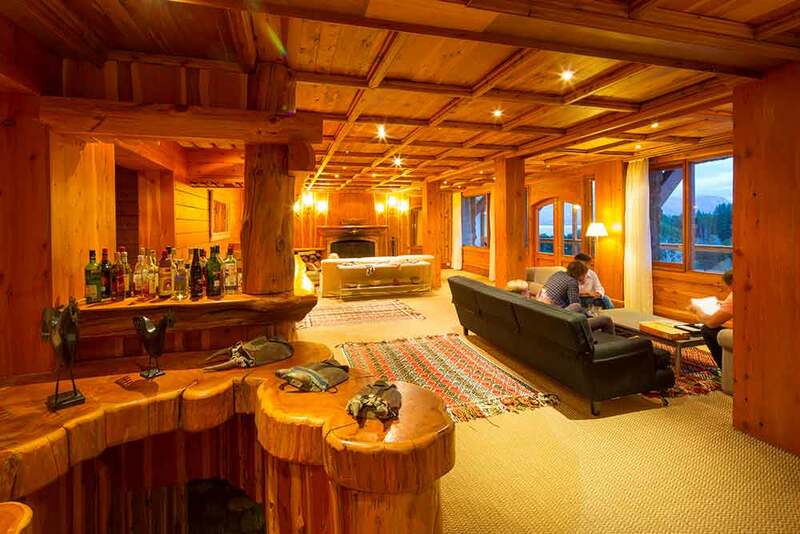 The final stage of your journey to Isla Victoria Lodge builds your expectations. 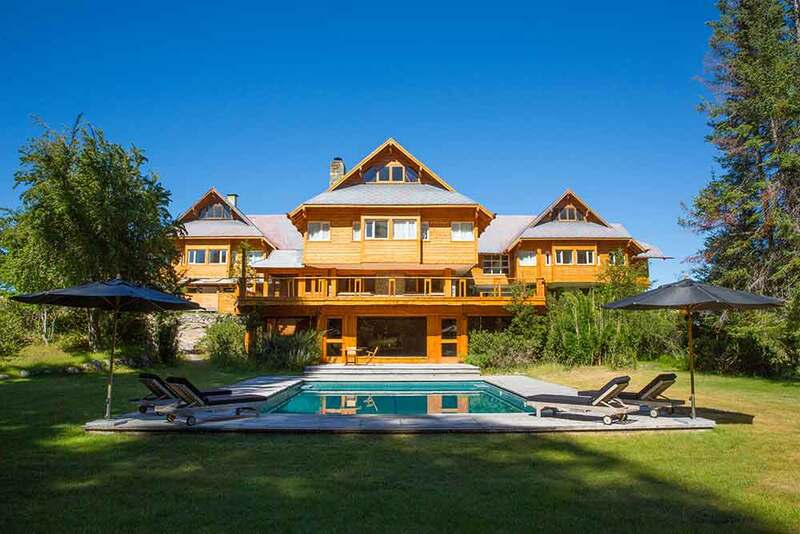 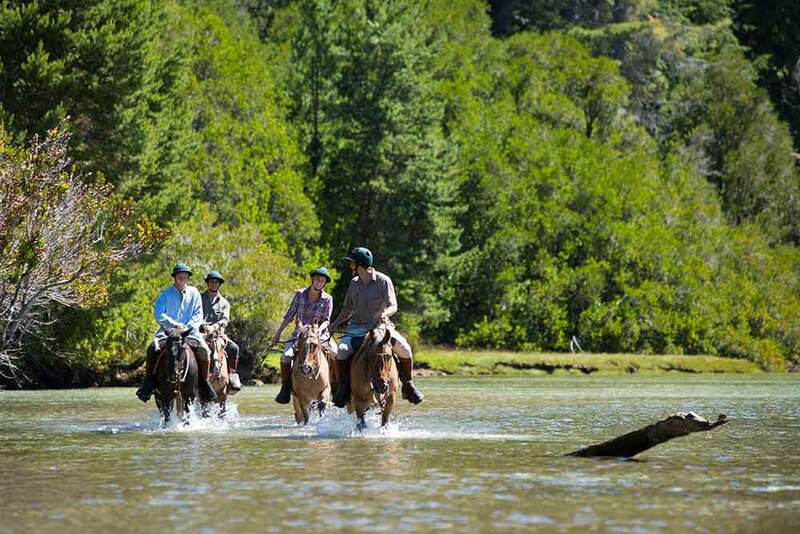 Your boat glides out of the port of Tunquelen and into the lake that is going to feature so largely in the scenery of your luxury, tailor-made holiday to Argentina. 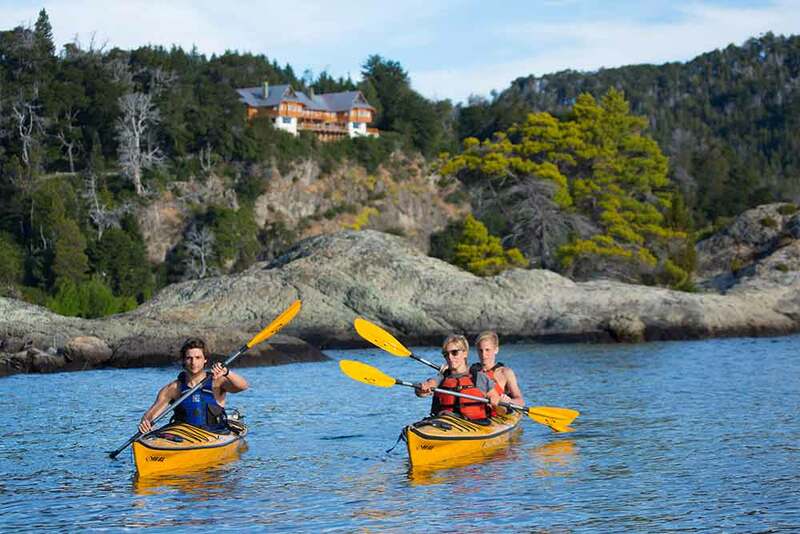 Lake Nahuel Huapi twinkles in the clear sunlight as you cruise ever closer to Victoria Island, its reflections echoing the surrounding landscapes as you enter Anchorena Bay. 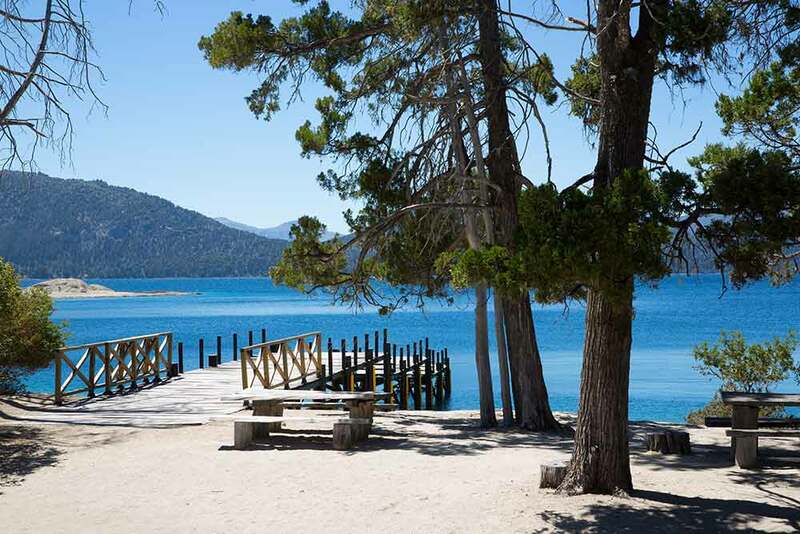 Then the island is in front of you and you land at a private pier on Playa del Toro. 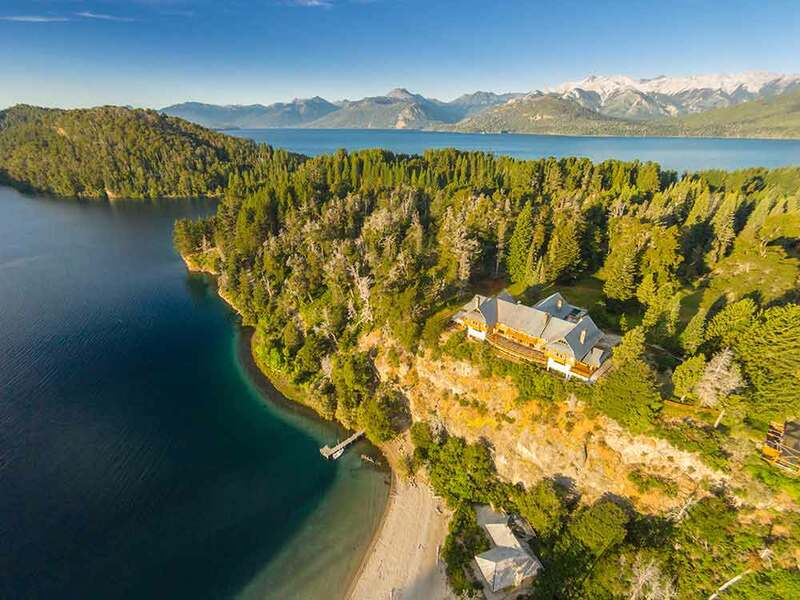 Above you is your destination – Isla Victoria Lodge. 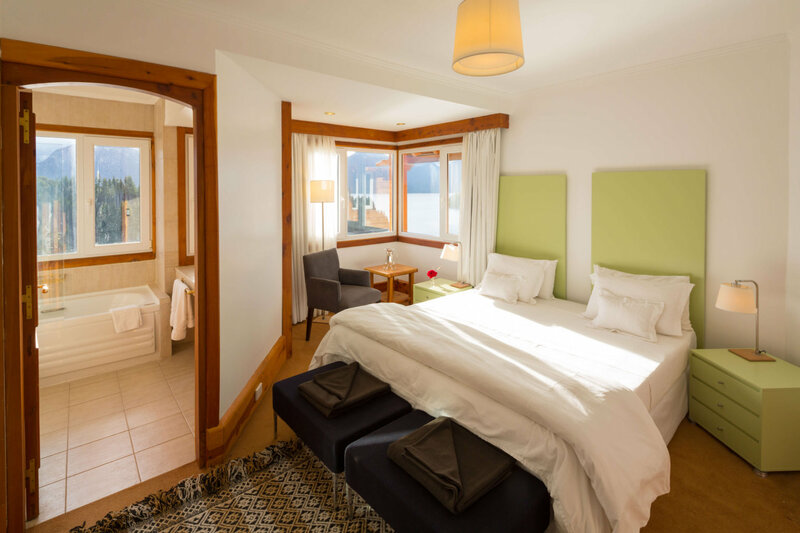 Here you’ll be wrapped in an atmosphere of quiet tranquillity that encourages you to relax, revel in your surroundings and enjoy views that stretch out to a horizon dominated by snowy mountains.